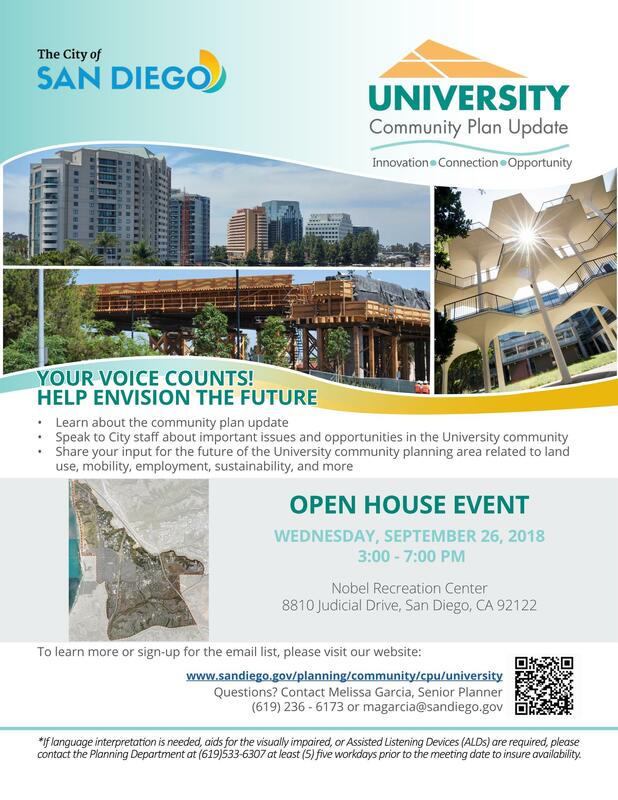 Save the Date – Wednesday, September 26 – for University Community Plan Update Open House. 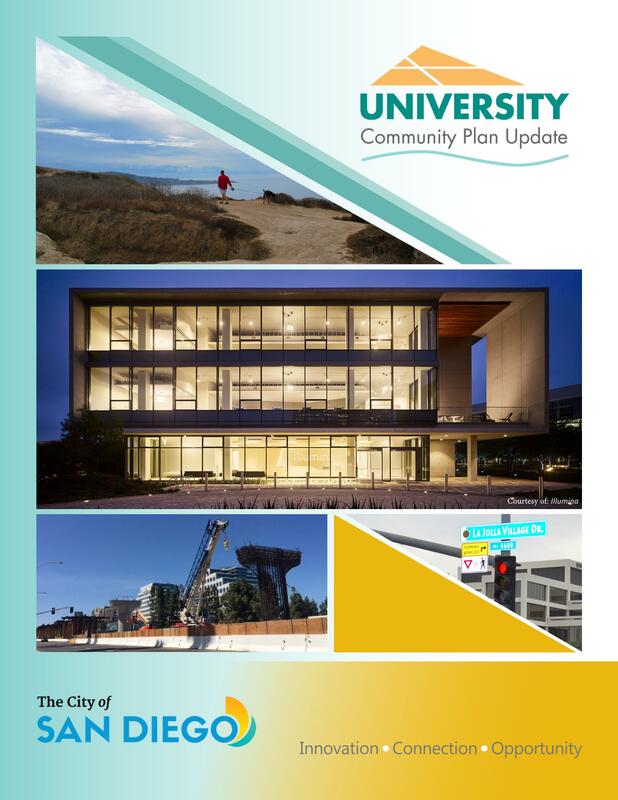 The City of San Diego is kicking off the University Community Plan Update and your input is essential to developing a plan that is responsive to the needs of the community. We invite you to come share your input for the future of the University community planning area related to land use, mobility, employment, sustainability and more. Please join us for the University Community Open House on Wednesday, September 26, 2018 from 3:00 – 7:00 pm at the Nobel Recreation Center, 8810 Judicial Drive. 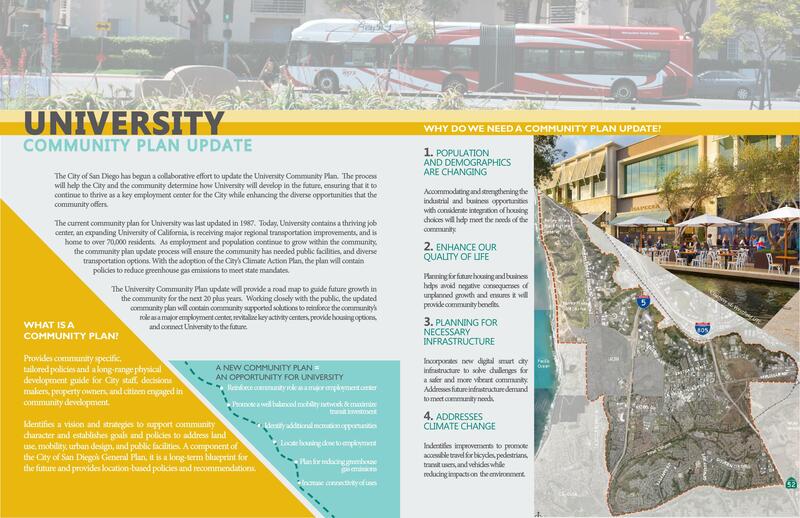 The City of San Diego is updating the University Community Plan, adopted in 1987. 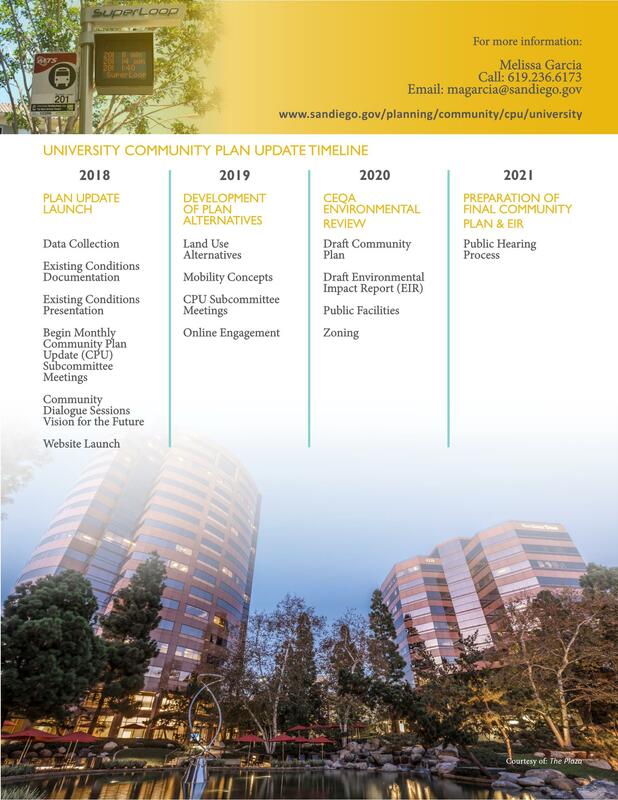 The updated Community Plan will consider current conditions, Citywide goals in the Climate Action Plan and the General Plan, and community specific goals to provide direction for the long-term development of the community. What opportunities exist to reinforce the community’s role as a major employment center? How can the community’s future be planned to capitalize on the transit improvements coming to University? How can we provide a variety of housing options within the community? What strategies will facilitate meeting long-term Climate Action Plan goals for reducing greenhouse gas emissions? How can connections between key destinations be enhanced throughout the community? What opportunities exist to foster a place to live, work, and play? 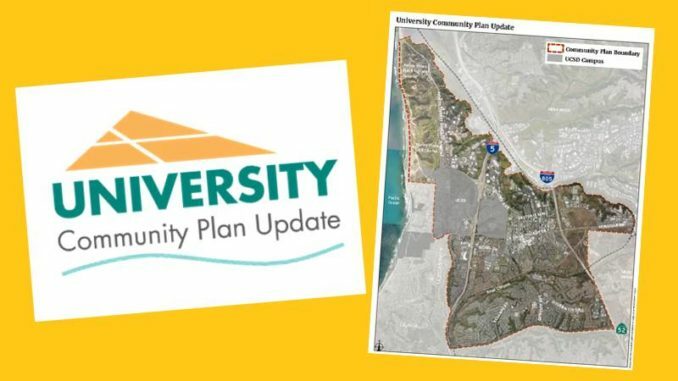 Please note: Dan Monroe, Senior Planner for University Community, will be UCCA’s featured speaker at the September 12, 6 PM, community meeting at the Community Library, 4155 Governor Drive.